Would you like to eat better to improve your health in 2017? 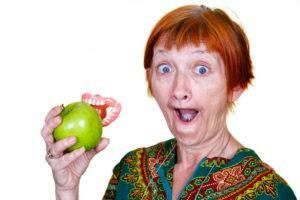 Love to put lots of fresh fruit and veggies on your menu but afraid your dentures will let you down? 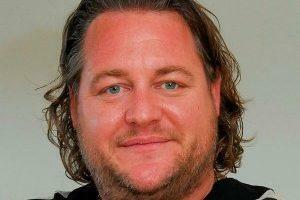 You are one of a huge number of Irish adults who are missing teeth and have to rely on dentures. People have to be able to eat and want to look normal, so they couldn’t exist with mere gums – they get dentures. Traditional dentures are uncomfortable; limit food choices, affect your speech and will ALWAYS get loose over time, causing embarrassment and ruining your confidence. 2) When pain finally drove people to see their local general dentist, extraction was the only solution offered to them. 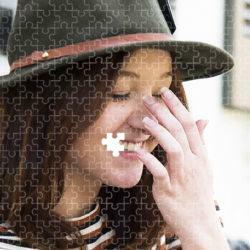 Pulling problem teeth was the catch-all solution for dental issues. No tooth, no problem, right? Now we know better. Removing teeth has long-term consequences. Once a tooth is removed, the gum and jawbone under the spot where the tooth grew immediately starts to recede. The body realises the tooth has gone, therefore withdraws support from the area by reabsorbing bone from the jaw. 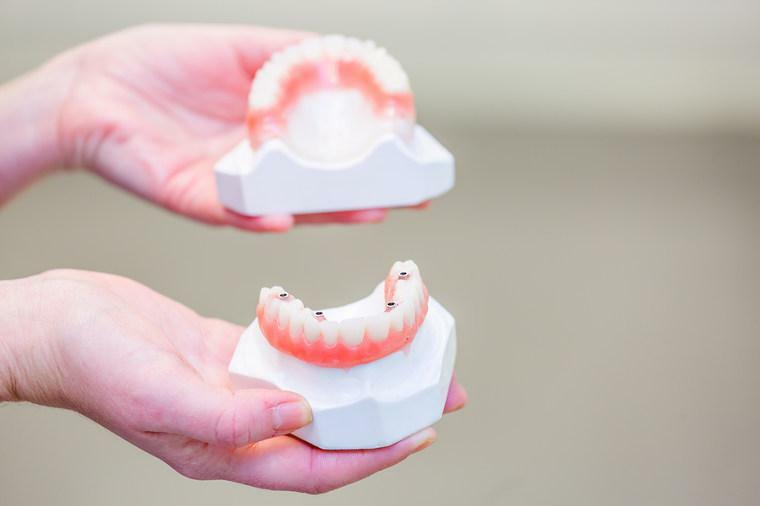 When you get fitted for dentures to replace your missing teeth, the dentures are made to fit your gums as they are shaped at the time of fitting. 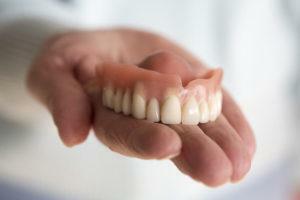 But the gums and jawbone keep shrinking over time, so dentures that might fit well initially start to get loose. They start to slip and move around in your mouth. They cause trouble with speech as the tongue has to work to keep them in place. 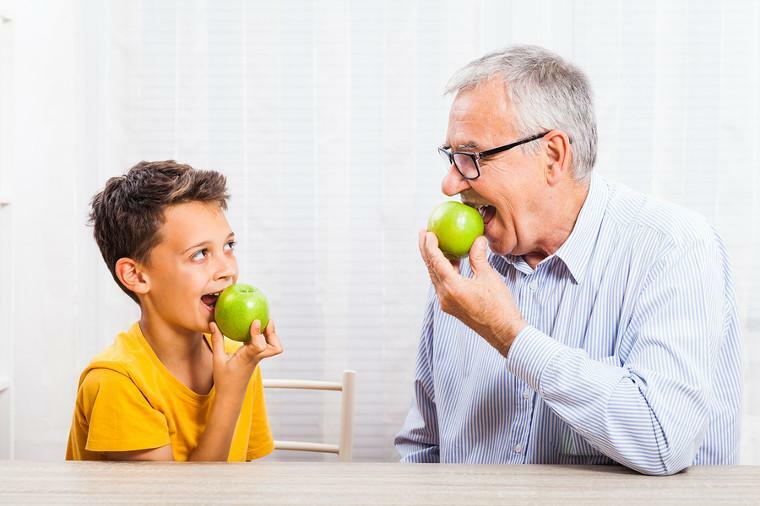 You find you can’t rely on the dentures to stay put, so you cannot eat any food that might challenge them, like fresh crunchy vegetables; apples or healthy proteins like chicken breast. If you wear dentures, you can get dental implants to secure them and it will completely change your life. Dental implants are the perfect solution to the problem of loose dentures. 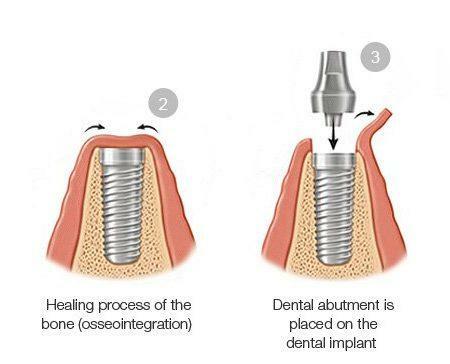 A dental implant is a tiny post that is placed through the gum into the jaw to act as an artificial tooth root. The jawbone embraces it and fuses to it over a few months, providing a solid root upon which to affix dentures. Depending on your individual case, there are a number of variations on how your dentures can be affixed, and on the number of implants needed. One implant can be used to support several teeth in a denture. Implant-supported dentures feel, look and work exactly like natural teeth, as they are now as much a part of you as your natural tooth and root was. The improvement to your quality of life is enormous, as you no longer have to worry about dentures popping out; eating crunchy, chewy foods or slurred speech. Smile Store are an all-specialist team with a Master Implantologist, so no matter how complex your case is, we can help. Many patients who have been denture-reliant for years get turned away from other practices when they seek implants, as they are missing too much bone to insert implants into. Smile Store’s expert team can augment your jawbone with one of a number of options to suit you, in order for you to have sufficient bone in which implants can then be placed. 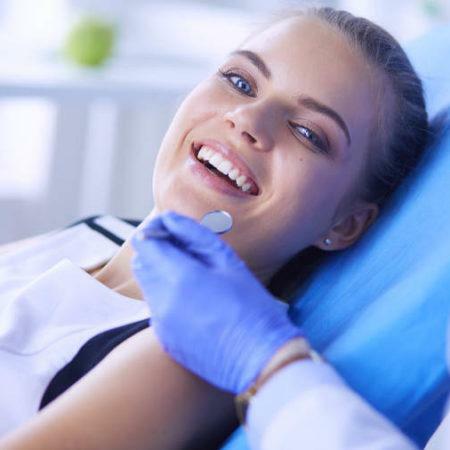 Once additional bone material is placed in the jaw (in a simple procedure, performed in the chair with local anaesthetic) it fuses with your existing bone over a few months. Then you can get your implants and after healing, your new dentures. Implant supported dentures restore full functionality to your teeth, so you can enjoy your life again!